The destination is good anywhere. One o'clock of bliss visits momentarily at the time of opened the door and the drama of non-daily life starts there. 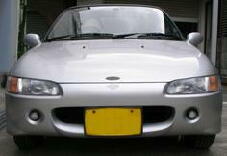 In the sports car, they are wonderful cars who regain me it seem who are not the transporters. are the best NSX. The NSX became a production end in December, 2005, too. Indescribable is however regrettable though it was the only Japan super-car.